47 · Earthquake Headache · Deborah P. Kolodji · pm; given as by Deborah J. Kolodji in toc. 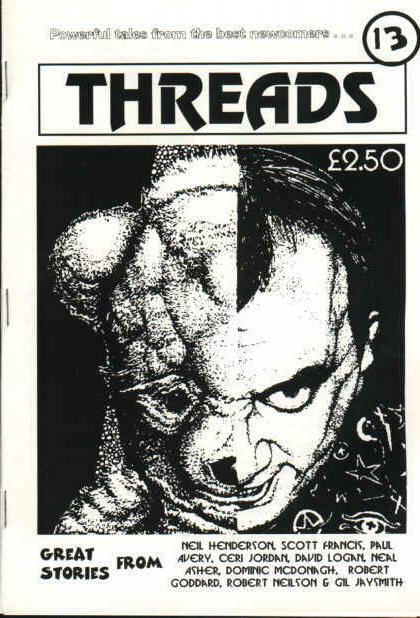 Threads [Issue 13, February 1997] ed. 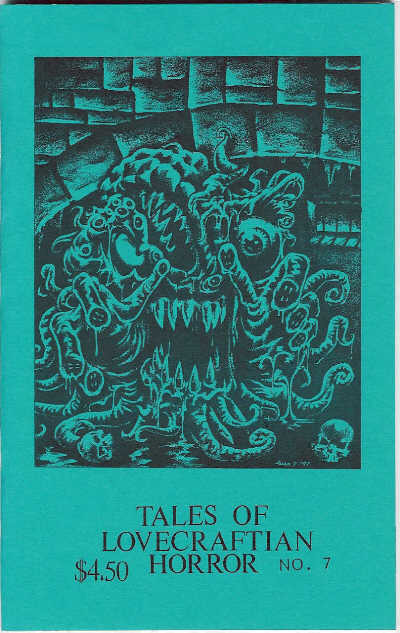 Geoff Lynas (First Rung Publications, £2.50, 58pp, A5, cover by Russell Morgan) Small press sf/fantasy/horror fiction magazine. Available from First Rung Publications, 32 Irvin Avenue, SALTBURN, Cleveland, TS12 1QH. 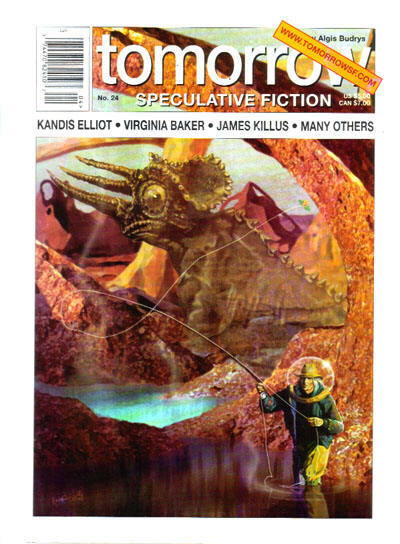 Tomorrow [v4 #6, No.24, February 1997] ed. 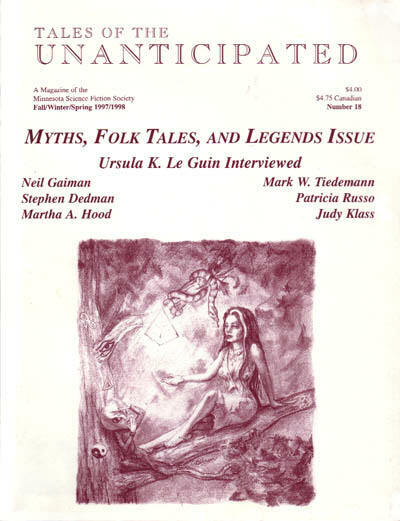 Algis Budrys (The Unifont Company, Inc.; Evanston, IL, $5.00, 128pp+, quarto, cover by Kandis Elliot) Last print issue, subsequent issues online at www.tomorrowsf.com. 62 · Gene Spliser · E. A. M. Jakab · ss; given as Gene Splicer in toc. 96 · The Artist [Part 1 of 2] · Vyacheslav Rybakov; trans. by Ralitsa Combs · ss; abridged.